Stuart Diamond’s career covers a wide range of activities—entrepreneur, educator, writer/journalist, producer/videoartist, and composer/musician. As a multimedia artist, Diamond has created works for the concert hall, film, dance, and theater. His ensemble, Electric Diamond, is one of the pioneering groups of live, electronic music performance. Diamond was a recipient of the Criterion Foundation Award that supported him for more than 5 years for the sole purpose of composing contemporary music. As a Woodrow Wilson Visiting Fellow, Diamond visits colleges throughout the United States in support of the value of the liberal arts. "Stuart Diamond is a refreshingly original composer in that he subscribes to no fashionable school and apparently writes according to his own fancy. His music possesses a dreamy impressionistic quality with long, sinuous melodic lines..."
"Imaginative, visual , linear music the music Tolkien might have written if he had used a piano instead of a pen." Mr. Diamond is best known as a composer, musician and librettist, where he has created a vision of new art that fuses electronic media and words with classical music. He has composed well over 100 works in all medium including symphonic and chamber music, theater, dance, film and video. He has written for a diverse range of artists, including Kronos String Quartet, Metropolitan Opera star Elinor Ross, Israeli cellist Simca Heled and Max Polikoff, the founder of the first "Music in Our Times" series at the 92nd Street YMHA. He has written works for the SLC Orchestra, Topango Symphony, Ensemble Arte Viva de la Sorbonne Paris and the Meadows Chamber Orchestra. 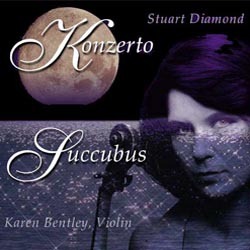 Most recently Karen Bentley premiered KONZERTO for Violin and Electric Orchestra. Mr. Diamond was one of the first musicians to perform with the Lyricon, the original wind synthesizer. The Lyricon is an instrument that transforms a performer's wind and embouchure pressures into electrical voltages that in turn control the dynamics parameters of a synthesizer. As a result the synthesizer is turned into an instrument of remarkable expression and power. Many of his seminal works incorporate the use of live performance electronic instruments, creating huge soundscapes that are a synergy of contemporary sound with classical musical forms. In 1976 The Criterion Foundation approached Mr. Diamond and offered him a major grant in classical music. The Foundation supported him for six years, for the sole purpose of writing, creating and performing contemporary classical and electronic music, recognizing the unique aspects of his work that simultaneously explored the frontiers of new music and technology while creating an art that remained meaningful and relevant to the general concert audience. In conjunction with The Criterion Foundation, Mr. Diamond produced important new music concert series at The Guggenheim Museum, Carnegie Hall and Symphony Space in New York. He also was the director of Criterion's International Grants Program, supporting the music of young composer's in America, Europe and Israel. During this period Criterion supported important commissions by Dave Brubeck, John Lewis of the Modern Jazz Quartet (for the Kronos String Quartet), and the last commission of Paul Ben-Haim, the foundational composer of modern Israeli music. Mr. Diamond's ensemble, "Electric Diamond" has been performing continuously since 1979. It is perhaps the only ensemble dedicated to presenting live classical electronic music concerts, with a repertoire covering the entire spectrum of classical music from the Middle Ages, Baroque, Classical, and Native American music. The ensemble has premiered many of Mr. Diamond's original works, including the fantasy tone poems Lyric Images, Dances of Merlin and Beauty and the Beast. The National Parks Service produced a series of concerts by "Electric Diamond", including a special pre-fireworks 4th of July concert at Castle Clinton that was sponsored by Atlantic Records. "Electric Diamond" has appeared at a variety of other venues, including Carnegie Hall, Symphony Space, the Guggenheim Museum, the International Conference of Computers in the Arts, Stanford, Berkeley, MIT universities, and the Rainbow Room at Rockefeller Center. "Electric Diamond" has been heard on nationally syndicated radio shows, such as "New Sounds", "The Hearts of Space", and locally on Robert Sherman's "The Listening Room", and at the Liberty Science Center for its prestigious Geraldine R. Dodge lecture series. His first original electronic multimedia production was, Darling, Poor Darling, with a script by the famous artist Ilya Bolotowsky, and was presented at The Guggenheim Museum. The electronic opera, The Master of the Astral Plane, (with an original libretto), commissioned by the Brooklyn College Conservatory of Music, depicted a voyage through a landscape of demon infested nightmares. Cockroach Cabaret, a children's opera (libretto by Mr. Diamond), initially performed at P.S. 122 (one of New York's leading modern art venues), was an anti-war piece that investigated the fulfillment of the prophecy that "cockroaches will inherit the earth." Mr. Diamond's soundscape for Richard Haase's contemporary musical adaptation of Wedekind's Lulu became a surreal encounter with death, love and fantasy. Stuart Diamond was one of the seminal artists working with the synthesis of words, video, dance and music (years before anyone had ever heard of MTV). He collaborated on many music video projects with such artists as Georgiana Holmes of The Pilobolus Dance Theater, Steven Malkus, Martha Curtis, Jason Sapan and Don Slepian. With Bruce Bassman he helped to create some of the first live outdoor laser light, firework and music shows for venues such as the Macy's Fourth of July Show (the largest fireworks display in the world). The former New York City Ballet dancer Elizabeth Gottlieb created one of the first original video-ballet productions, entitled Journey. It was inspired by and danced to Lyric Images, an electronic symphonic work by Mr. Diamond. The video won top honors at The Festival of Americas. Mr. Diamond has also created his own video projects, producing and directing his own original videography and animations. He has produced videos for many of his own music scores including Baroque Fantasy, Beauty Beast, Succubus, and Five Bagatelles. A full-length video set to the music of Mussorgsky's "Pictures at an Exhbition" was featured at The Inwood Film Festival. He created the background scores for numerous dance works including the award-winning American Nights by Patrice Reigney, Martha Curtis's OverDrive and Spinsailing, Clarke Wright's Theme and Variations, and Satoru Shimazaki's Dances for a Summer Evening. His score for the award-winning documentary film, With Our Own Hands, by the Dutch anthropologist Dr. Harald Prins, incorporates the oldest known documented American Indian melody, as sung by Chief Mermatu of the Micmac Indians in 1792. 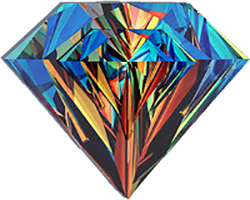 Mr. Diamond's music is recorded on Arkay, Orion and Electronic Artists Records. Through the years Mr. Diamond has developed a parallel career as a writer. He has written screenplays, novels, essays, poetry and documentaries for television. His collaborations with Richard Haase include the screenplays Lillith, The Oddest Couple, If Looks Could Kill, Girl Gangs and many more. With Ben Bergoui he developed the screenplay, Inner Sanction. His play "The Dark Lady Reflections" was premiered at St. Ambrose University. His poetry has been published and translated in leading European literary journals. As a commercial writer he has produced, written and directed numerous programs for a range of various clients. Mr. Diamond does weeklong residencies at liberal arts colleges around the country under the auspices of The Council of Independent Colleges as a Woodrow Wilson Visiting Fellow. In this context he promotes the practical value of liberal arts education and how it impacts all aspects of one’s life for the better. For 9 years, he was also a Trustee of The California Institute of Integral Studies (CIIS). CIIS recently merged with The American College of Traditional Chinese Medicine, one of nation’s leading schools for alternative medicine. Primarily a graduate school, CIIS is truly one of the most unique institution of higher education in the country, offering advanced degrees in clinical psychology, consciousness studies, integrative medicine, women’ spirituality, and other fields that are pioneering what education will be in the 21st Century. In addition, Mr. Diamond created original seminars of the nature of money, trust and the financial system for one of the world’s leading banks and brokerage houses. The original program “The Power and Profitability of Trust” was presented over a four year span, and became one the institutions most important educational seminars. Stuart Diamond and Russ Allen founded Empowered Media in 1997. The company began by producing educational videos and animation. It produced nationally syndicated programming, such as "Flight to Mars", produced, written and directed by Mr. Diamond. In the following years Empowered Media has become recognized as a leader in creating high-end marketing and communication pieces for topflight corporations. Mr. Diamond has worked on many distinguished and controversial issues. He has worked with US Customs, dealing with issues surrounding Homeland Security. He traveled to Paris to meet scientists involved in the controversy over cell-phone radiation. Empowered has also produced Latin American music specials, programs on diamond cutting in Antwerp and X-ray screening technologies. In addition, he has worked on important social issues, such as the plight of Albanians in Kosovo and the lack of fiscal responsibility and credibility in the budgetary affairs of the US government. The company continued to evolve and in 2006 Empowered Medical Media was launched with new initiatives in healthcare and medicine. The company expanded its marketing endeavors and launched a journalistic division. To date it has produced over 2500 medical news stories and videos providing one of the largest online media archives in healthcare on the Internet. In 2012 the first Optimal Wellness company was launched. A medical management company, the Optimal family of companies endeavor to create a new model of medicine that focuses on prevention instead of disease management. 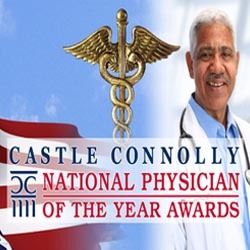 In partnership with Castle Connolly Medical Ltd, Mr Diamond is the media produce for The National Physician of the Year Awards. In this capacity he produces video stories about the most important physicians and research scientists in the history of medicine.